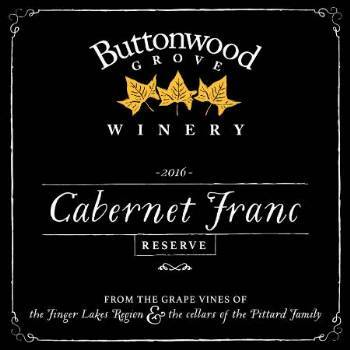 Havested from our Riemer Block vineyard during one of the best growing seasons in Finger Lakes history, this premium reserve wine was aged in French oak barrels for 27 months. Subtle berry aromas lead to a burst of bright cherry on the palate, with smooth lingering notes of pepper on the finish. Hand picked on October 5th, 2016 from our estate Riemer Block Vineyard. Macerated for 9 days in a combination of French Oak (Garbelloto Experience) and fermentation bins. Aged in 55 gallon French oak barrels for 27 months. Cooperage: Val de Loire and Françoise Frère. From Anonymous of Gold Canyon, Arizona on 2/5/2019 . From Christopher Begley of Belmont, North Carolina on 2/4/2018 . From Michael Duttweiler of Ithaca, New York on 2/4/2018 . Great tannin structure, aromas of soft oak, subtle fruit. Will only get better if one can wait!! From Susan Emery of Monroeville, Pennsylvania on 1/4/2018 . This is my favorite cab. I bought a case for the holidays and it was consumed within days. Everyone loved it! I will definitely purchase again!